Our company attend the 123th Canton Fair in Guangzhou, from June 13th to 20th, totally one week day display time. 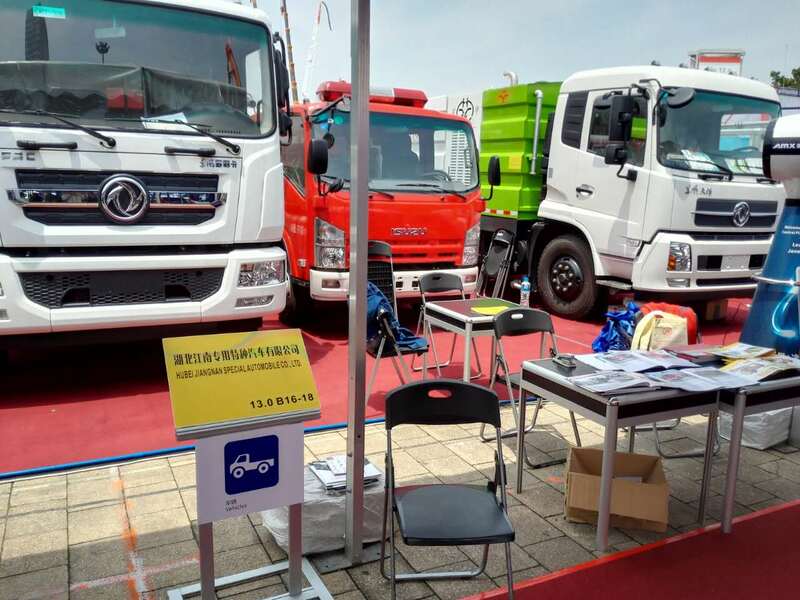 what we showed on the Canton Fair is the ISUZU Fire Fighting Truck, Dongfeng duolika compactor Garbage Truck 12cbms and the Dongfeng Tianjing Sweeper Truck with sweeper and water cleaning functions. And our company worked with a lot of chassis manufacturer, likes IVECO, MAN, STYER brand chassis from Europe, ISUZU, Hino brand chassis from Japanse, and Chinese brand Dongfeng, Sinotruk howo, FAW, JMC, JAC, Foton etc.... so we can meet almost all your requirement. If you are looking for special vehicle, we do believe we will be your best choice.